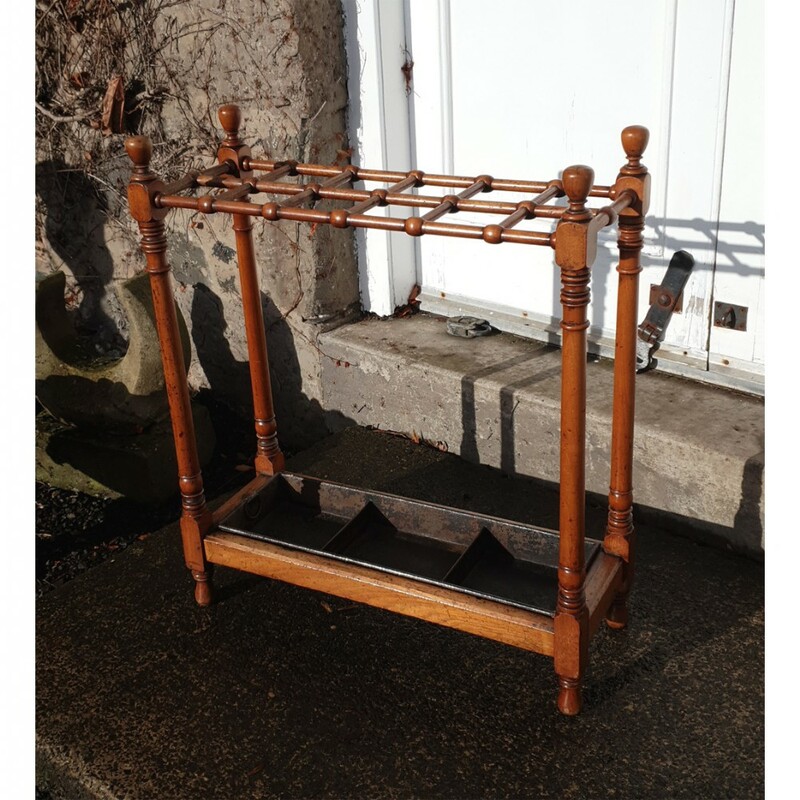 Good 19th century solid mahogany turned stick stand in original condition. 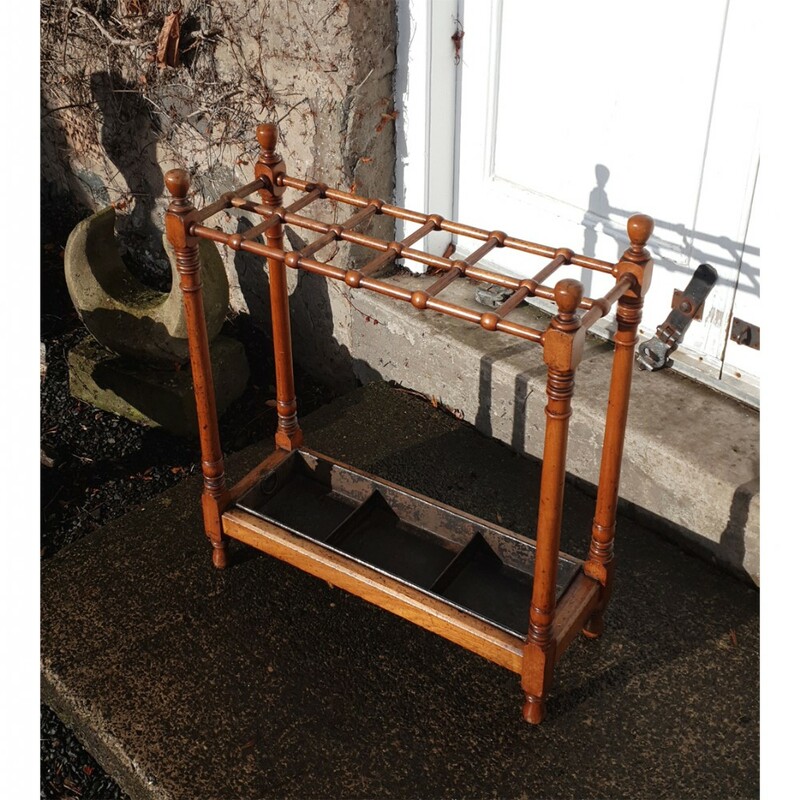 Nice "Country House" item and very useful. 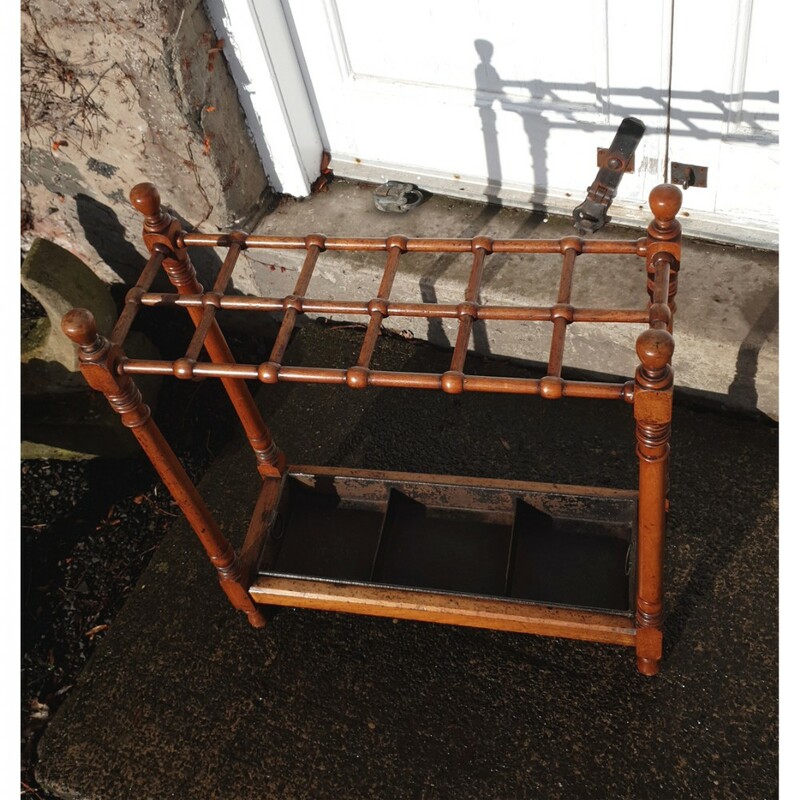 The stand is nicely turned with good detail and retains its original metal liner to the base. The stand has 12 divisions. 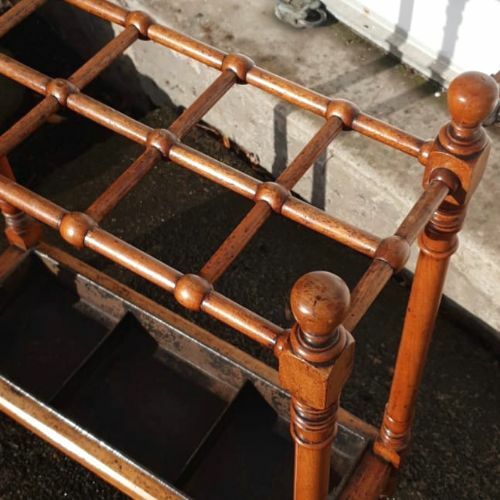 The stand is a very pleasing faded mahogany colour and is in very good condition with no breaks or repairs. 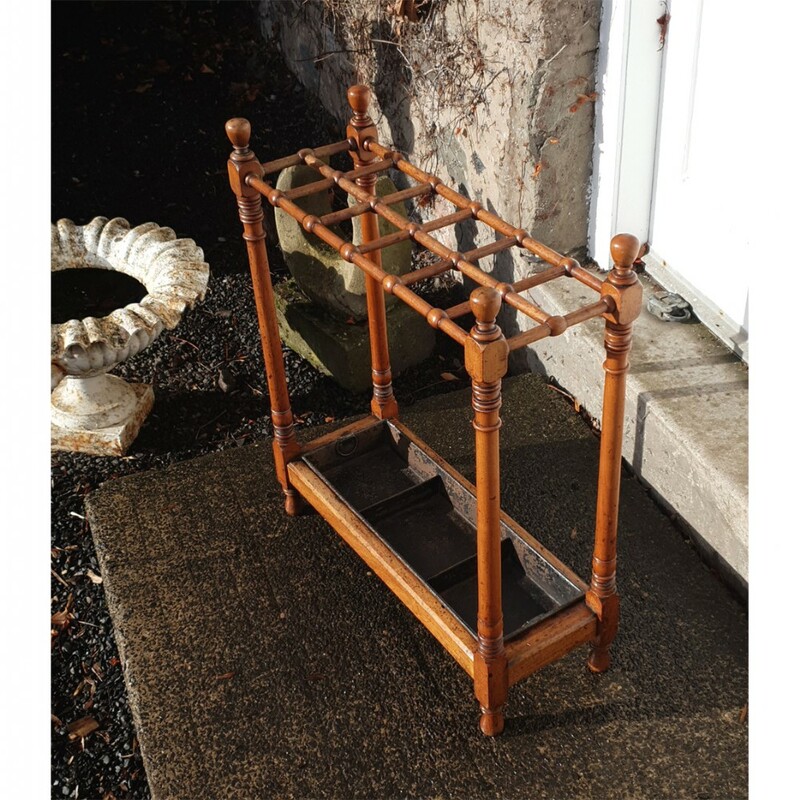 The 19th CENTURY MAHOGANY STICK STAND has been added to your saved items.